Known as one of the best national parks in India for safari bookings, Pench National Park incorporates 758 sq.km expanse of forest encompassing Seoni and Chhindwara districts of MP. The reserve full of biodiversity is mainly known as the natural territory of leopard, deer, porcupine, sloth bear, jungle cat, striped hyena and lots more. The area of Pench Tiger Reserve majorly consists of the canopy, mixed forest, in addition to the extensive stretch of green patches. Pench National Park is also acknowledged as a ‘birders paradise’ with more than 285 bird species of migratory and resident birds found in the park. These birds are one of the prime attractions of the park. There are about four species of vultures in danger of extinction sheltered within the park premises. Leopard and Deer make the glare of publicity of the Pench National Park and they can spotted venturing the wild. Are you a married couple in search for thrilling honeymoon destinations in Madhya Pradesh? A honeymoon safari can be one of the most exhilarating things to do in Pench National Park. Witness the wildlife of Pench roaming free with your special someone. The entire experience of animals pursuing each other for food, roaming freely around, or going to the waterhole to procure some water makes forest safari a must-do activity in Pench National Park. Entering into the wild and seeing the animals in their natural locale is the most fascinating thing to do in a national park. The water tank area in Pench National Park is a major location for bird sighting. It is also recognized for the aboriginal bird species that migrate to the national park in winters. Remember to carry your binoculars and high-quality cameras to enjoy the best and continuous shots of the striking visitor birds in the park. Pench National Park is most renowned for the four species of vultures seen in plenty in the national park region: White-rumped, Egyptian vulture, Long-billed and King vulture are the rulers. 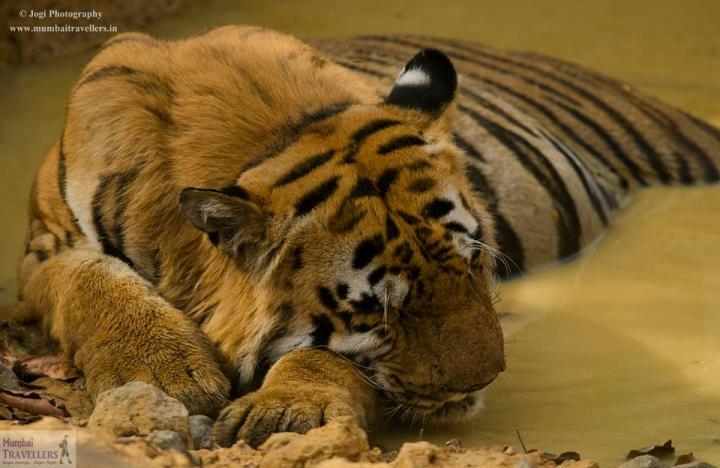 It is believed that 6 pm to 9 pm is the perfect time to enjoy the night safari in Pench. It’s during this time that the diverse flora and fauna in the park can be seen being calm and naturally best. The wild animals can be observed having their playful time and roaming freely. Deers, Wild Dogs, Hyenas, Indian Grey wolf and a few other exotic birds can be found during the sunset in the national park premises. There are a few Pench Resorts that conveniently arrange for night safaris. However, ensure that you have a proper plan in advance.